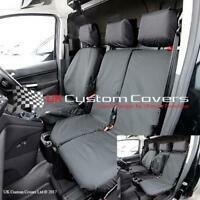 Genuine Nissan Qashqai J10 Front & Rear Luxury Velour Carpet Mats KE755JD011. Decent quality, but not quite as expected. These mats fit nicely into each foot well, although not 100% accurate in shape, and the drivers one clips into place easily. They are robustly made with neatly embroidered lettering, but they aren't as thick as I was expecting. I certainly wouldn't call them velour, but more like a tight looped nylon material. The finish to the underside of the mats looks to be waterproof and is textured enough to stop them moving about. The edge detailing is good quality and tightly stitched, so should prevent fraying over time. Overall, I am pleased with these mats, and am guessing that they will last well and not deteriorate too quickly. Very good replacement carpets. Thoroughly recommend. Surprisingly very good fit And slotted straight into place, even using the factory fitted “studs” to stop them slipping. Excellent value for money when compared with products that can be bought in motor retail outlets (eg Halfords). Very prompt delivery times. 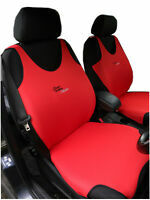 I ordered these car mats with knowing the supplier or quality of the product. 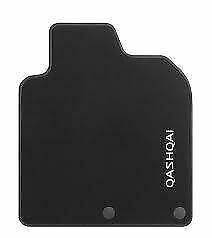 The car mats arrived on time and when I fitted them to my car they fitted exactly with no problems and lifted the interior view significantly, I would recommend this product to anyone without hesitation. The mats fit perfectly in my 2008 qashquai. The drivers side locks on the tabs on the floor so the mat does not slide around. They look smart. Only had a couple of weeks so dont know how well they will last but very happy with them so far.